It’s Christmas in Washington, DC and that means something special happens in this partisan and cynical city. The Christmas Spirit begins to take hold of the young, old, republican, democrat and independent, and they all flock to the ellipse to view the national Christmas Tree. The grounds of the ellipse, between the Washington Monument and the White House, begin to glow in December as the massive tree covered in thousands of LED lights shines like a beacon in the city. A tall, glowing tree isn’t the only reason to visit the park. There are performances each evening on the temporary ellipse stage. The performances, free to the public, run December 9-22. Each night begins around 5:00 p.m. and each act lasts thirty minutes. The last performance kicks off around 8:00 p.m. The groups, ranging from school groups, church choirs, dancers, and even a Yuletide Ukulele Orchestra, all have holiday-themed numbers to spread cheer as you tour the park. The big tree isn’t the only conifer worth caring about. The Pathway of Peace is a walk way around the tree with smaller trees representing each U.S. state and territory. The smaller trees are decorated with handmade ornaments unique to each tree. 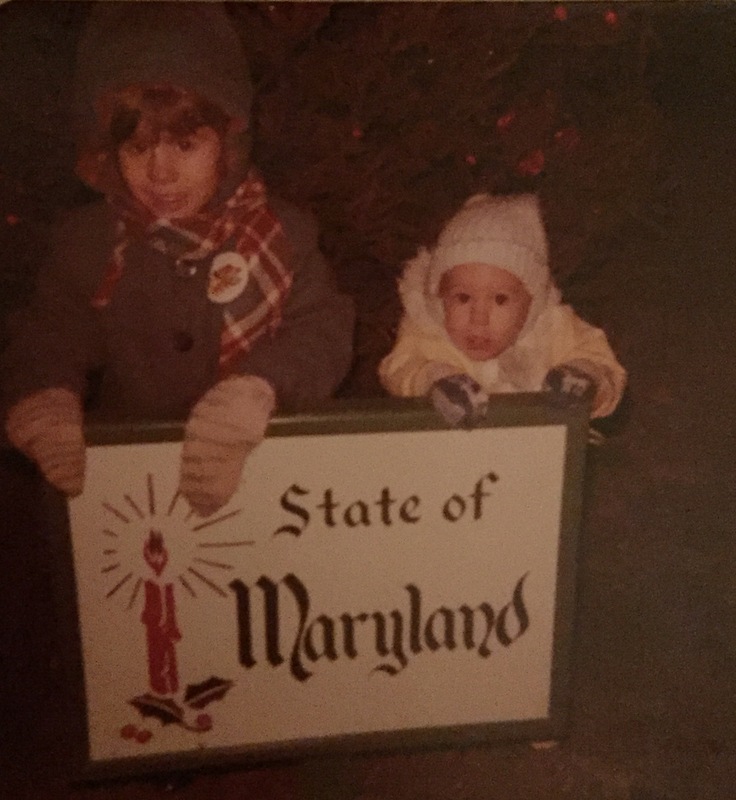 Young Zeke and his big sister, Jessie, visit the Maryland Tree in 1978. A large display of garden scale trains are set up around the base of the big tree and have been organized and displayed by volunteers for the last 20 years. I’ve watched them set those trains up and get them running and it is always worth a look. The biggest tip we can give you is remember you won’t find parking anywhere near the ellipse. You will have, at the minimum, a 10 minute walk from the closest available public parking spot — assuming you can get one. If you do as the Park Service suggests and take the Metro, the Federal Triangle Station on the Orange and Blue lines, Metro Center station on the Orange, Blue and Red Lines, and McPherson Square on the Orange and Blue lines are your best bets, but walking is still going to be a big part of your trip. You could always take a cab or Uber and have them drop you off at the nearest entrance, and then hail a cab or Uber when you’re ready to go. If you drive, plan out your trip ahead of time and use the Parking Panda app. It allows you to reserve spaces in parking garages all over the city. The nearest parking is on Pennsylvania Avenue and 13th Street, but there are several other garages available if you’re, again, willing to walk.